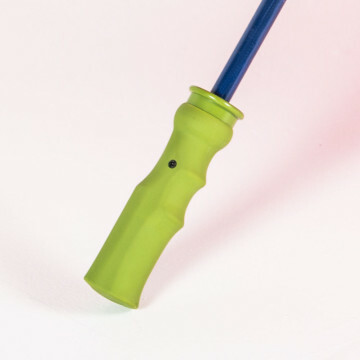 The Über Brolly Fibre-Storm® Square Vented Golf Umbrella is one of the most tough, strong and durable golf umbrellas out there. 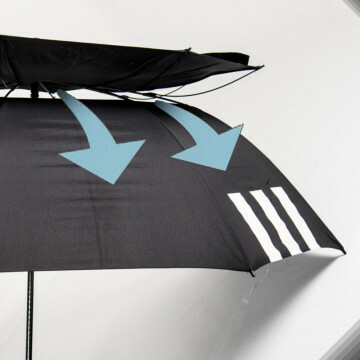 It is comprises of the Umbrellas & Parasols independent vent system together with our unique Fibre-Storm® technology so that you can be confident it will withstand the full force of the UK weather. This is a little different as it has a square canopy rather than a classic round canopy. It still has 8 panels but these are comprised of 4 large and 4 small panels. 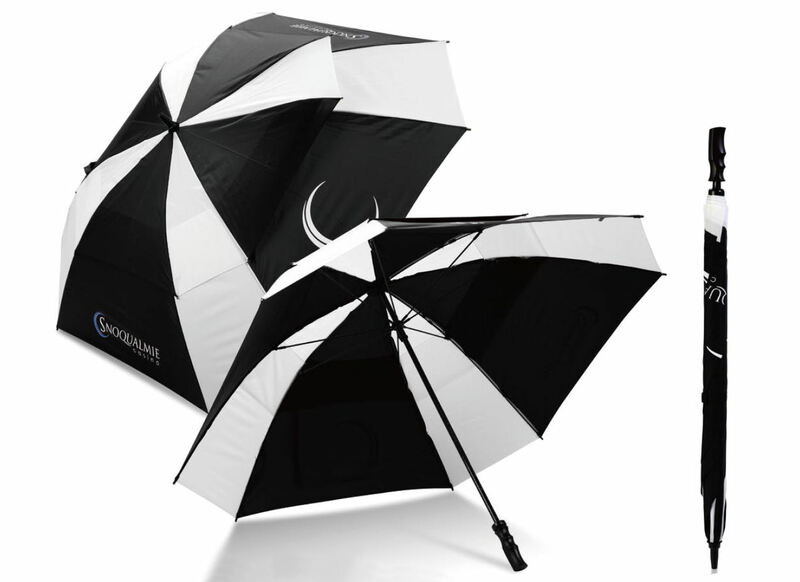 So why is a vented umbrella so much better than a standard umbrella? 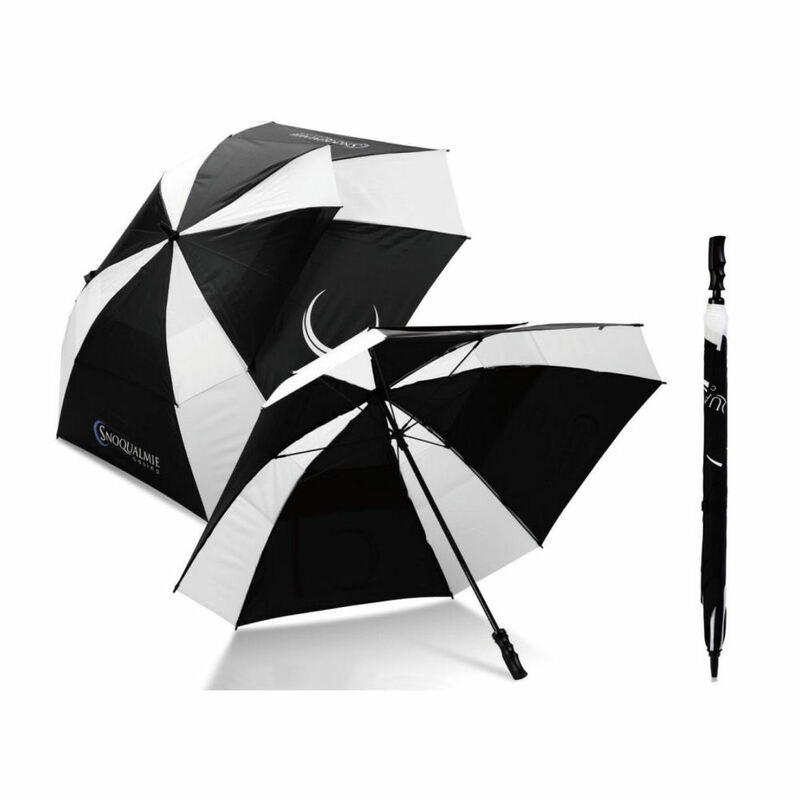 The independent vent system allows wind to pass through the umbrella so it withstands even the strongest of winds. 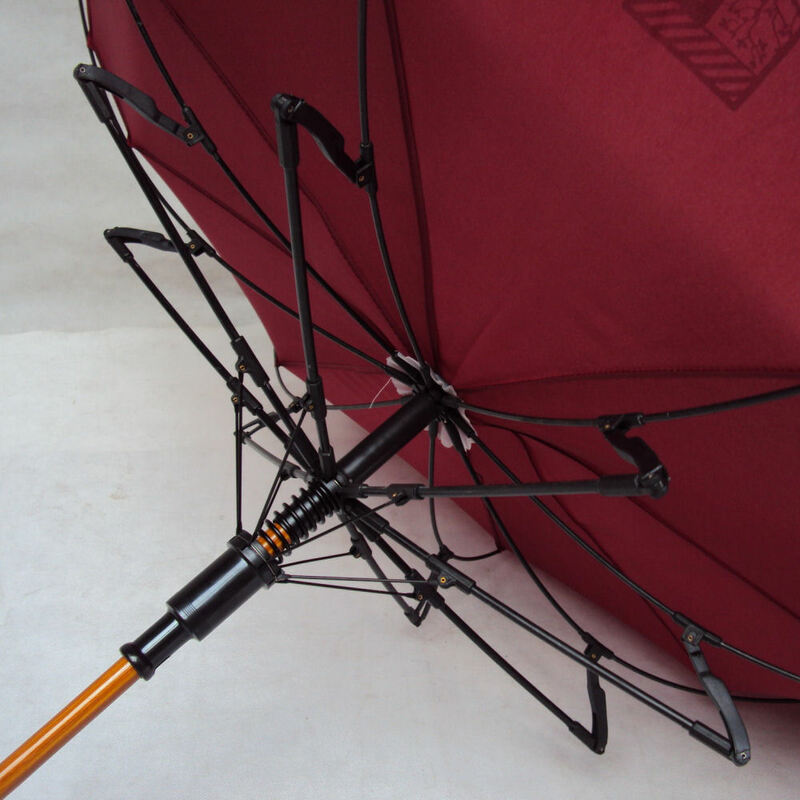 The vents ensure that the umbrella does not blow inside out or ‘catch’ in the wind pulling the user with it! This makes it one stable and strong umbrella. You can opt for either a manual opening system or an automatic. 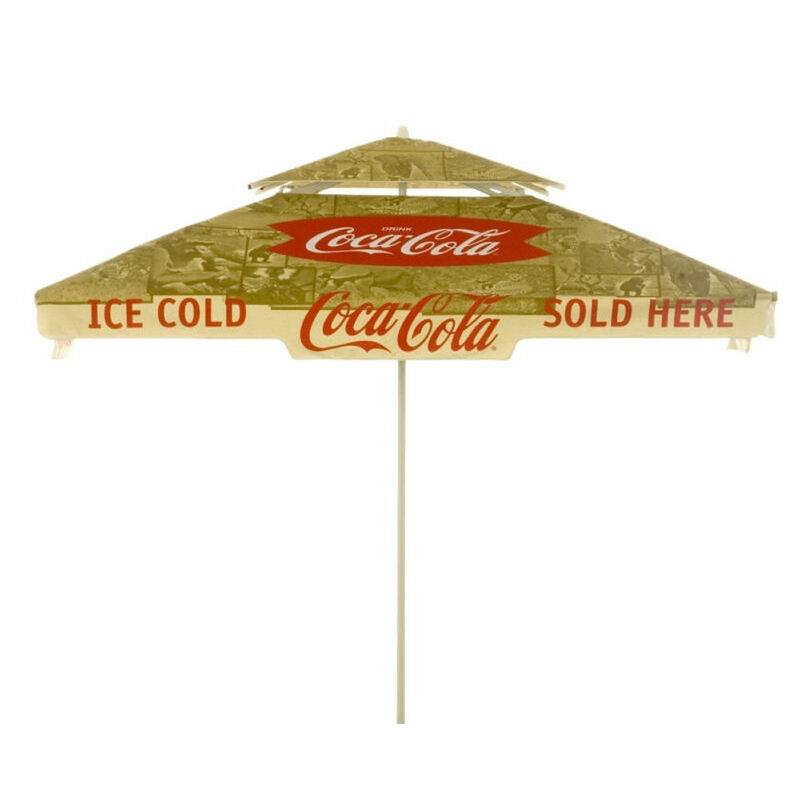 This umbrella has 8 panels ( 4 large and 4 small) in your choice of colour(s) and can be customised with your logo and branding via screen-printing, although digital printing if available for more complicated designs. 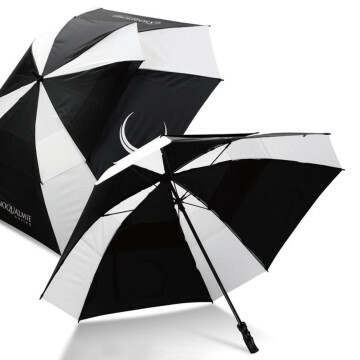 If you are looking for the ultimate of quality then why not check out our even more durable and deluxe version the Über Brolly Über Golf Umbrella.